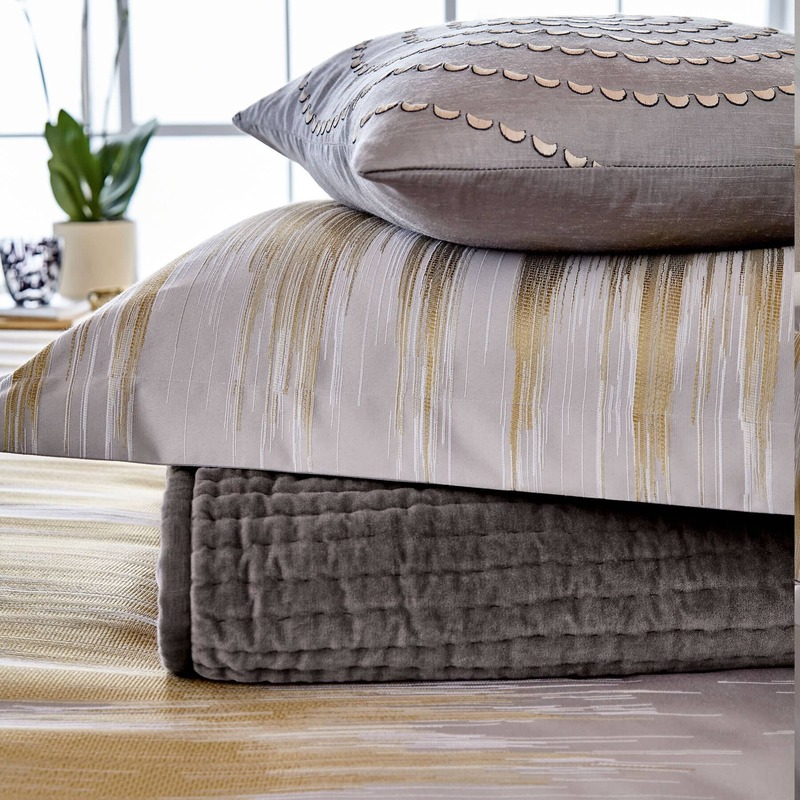 The Motion duvet cover features a gold painterly Ikat stripe woven on a pale grey ground with a plain co-ordinating reverse and finished with button fastenings. 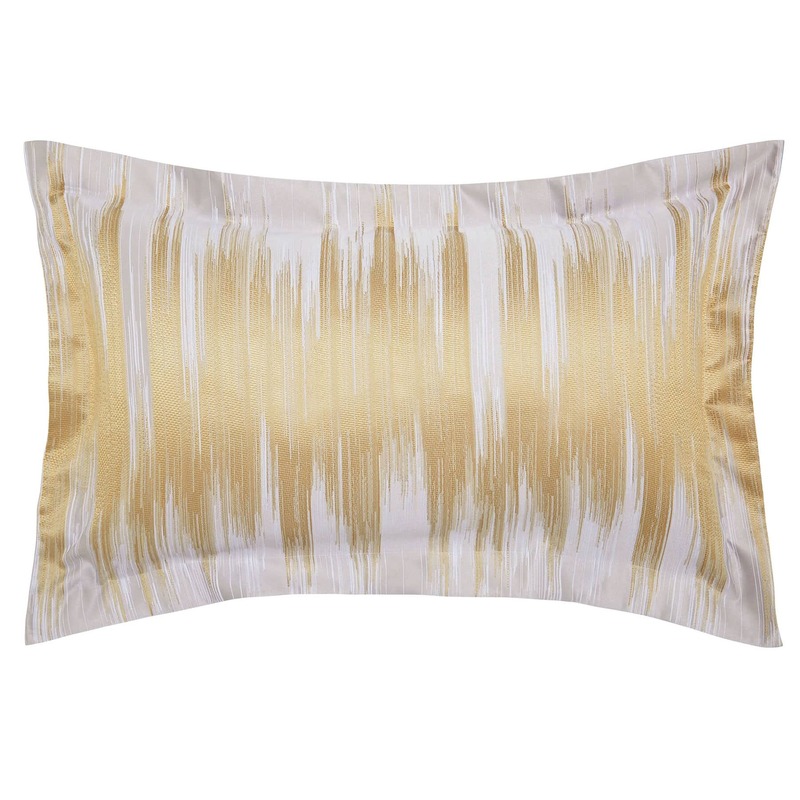 The Oxford pillowcase mirrors this design. 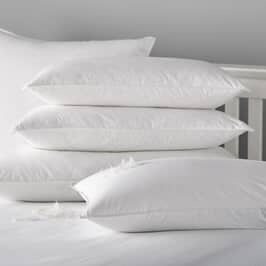 Made from a cotton/ polyester blend, this design is available in single, double, king and super king sizes and has a plain 200 thread count cotton percale reverse. 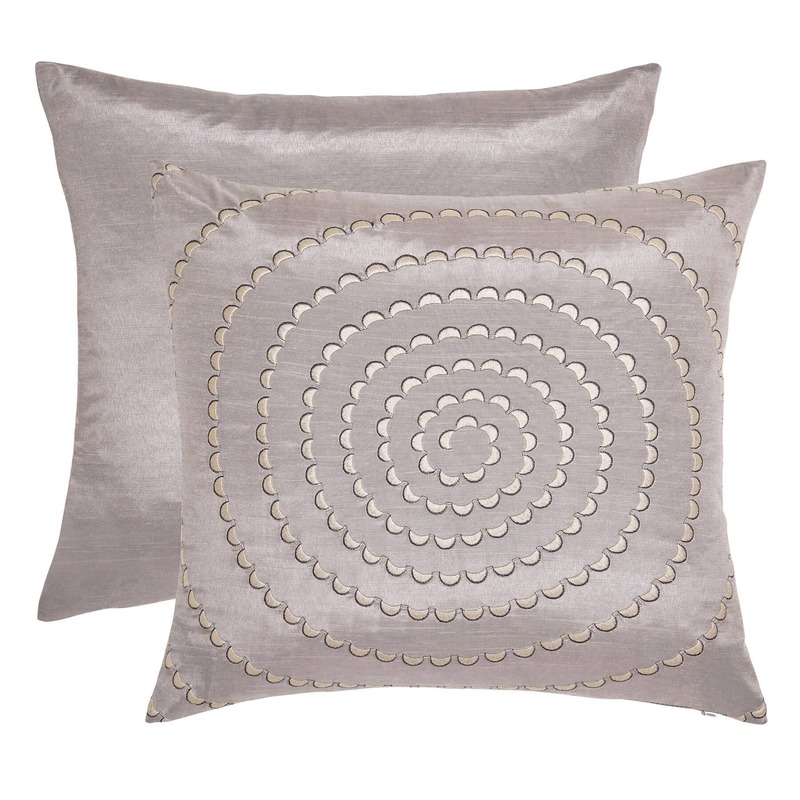 The accesssory cushion has spiralling embroidered motifs in taupe and charcoal on a grey ground and plain grey reverse. 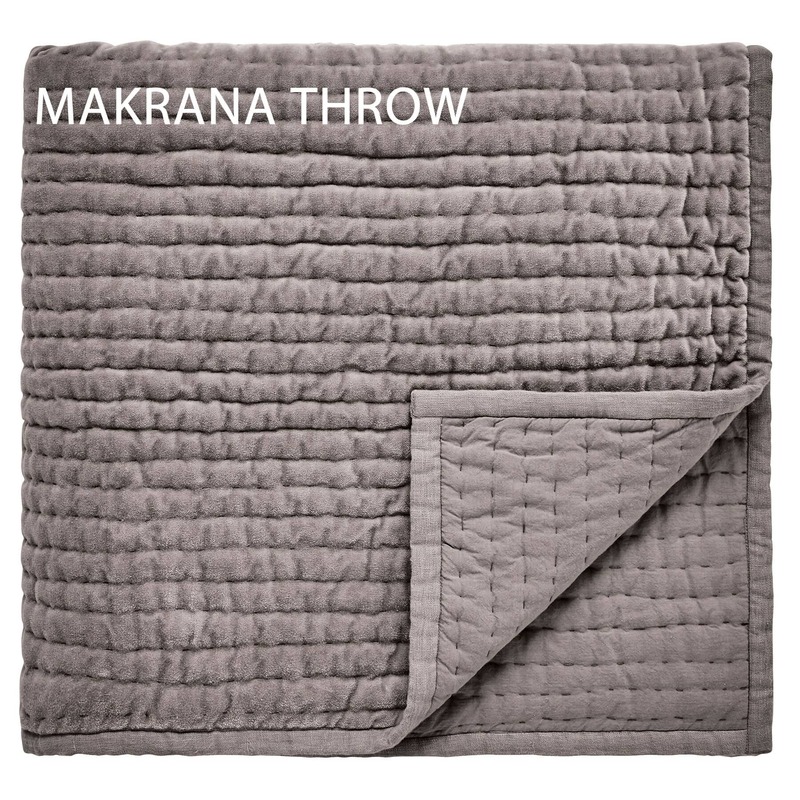 Compliment the look with silver cotton velvet throw with a linear quilting pattern edged with linen binding from the Makrana range. 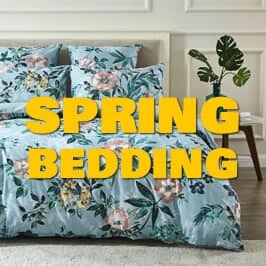 Bedding: Front: 60% Polyester / 40% Cotton. 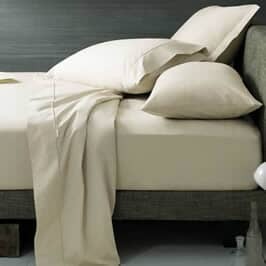 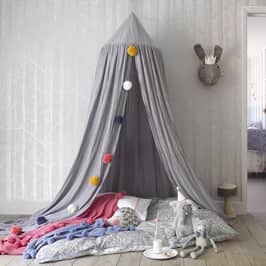 Reverse: 100% Cotton Percale. 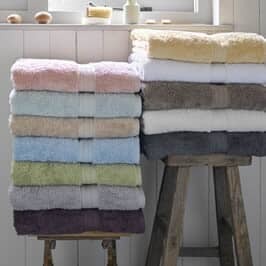 Throw & Cushion: Dry Clean Only. 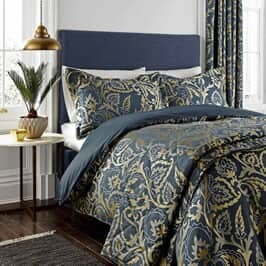 Be the first to review Harlequin Motion click here to write your review.